MONTGOMERY, Ala. — Residents in Alabama will vote this November on a proposed amendment to the state Constitution that would expressly allow the Ten Commandments to be displayed in public buildings and schools. The Alabama House of Representatives overwhelmingly approved S.B. 181 on Thursday 66 to 19 after the measure likewise cleared the House last month with a strongly supportive vote of 23-3. As previously reported, the bill, presented by Sen. Gerald Dial, R-Lineville, allows the Ten Commandments to be displayed if desired but does not require it, and mandates that the display be done in what is deemed a constitutional manner. “The Ten Commandments shall be displayed in a manner that complies with constitutional requirements, including, but not limited to, being intermingled with historical or educational items, or both, in a larger display within or on property owned or administrated by a public school or public body,” it outlines. Dial, 81, said that he believes that children might rethink harming their fellow students if they see God’s law before their eyes. Some Democratic lawmakers have been opposed to the measure, expressing certainty of a lawsuit and remarking that government officials should live the Commandments, as that would be the best form of display. 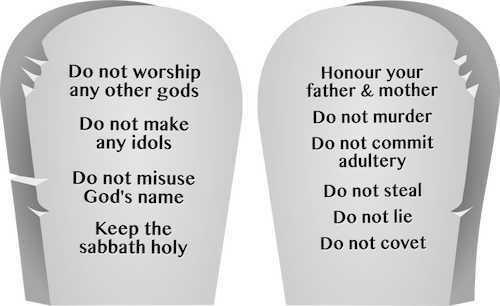 “The devil can display the Ten Commandments,” said Rep. Berry Forte, D-Eufaula, according to AL.com. As previously reported, the 2005 U.S. Supreme Court decision of Van Orden v. Perry, which upheld a Ten Commandments monument at the Texas state capitol, noted that religious displays may be found in a number of federal government buildings.